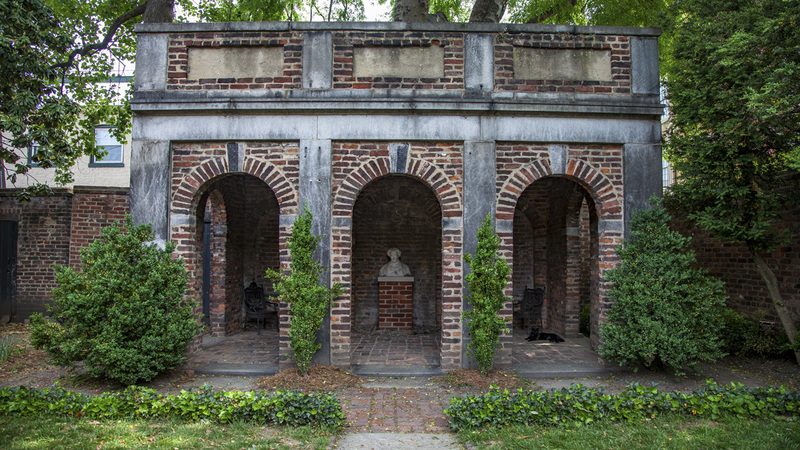 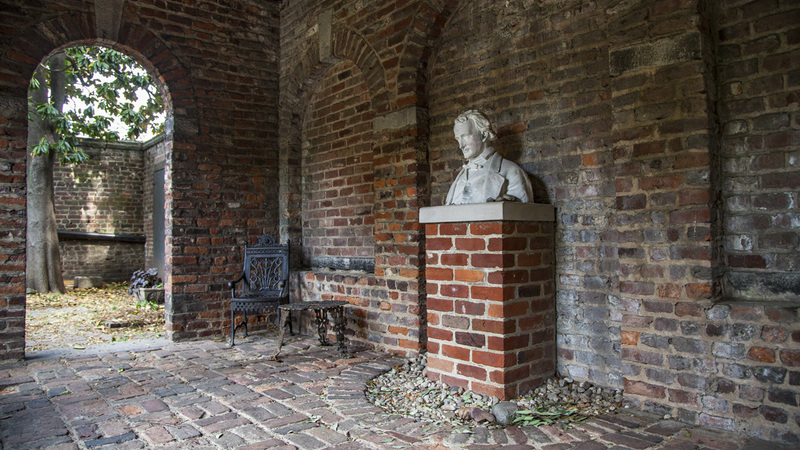 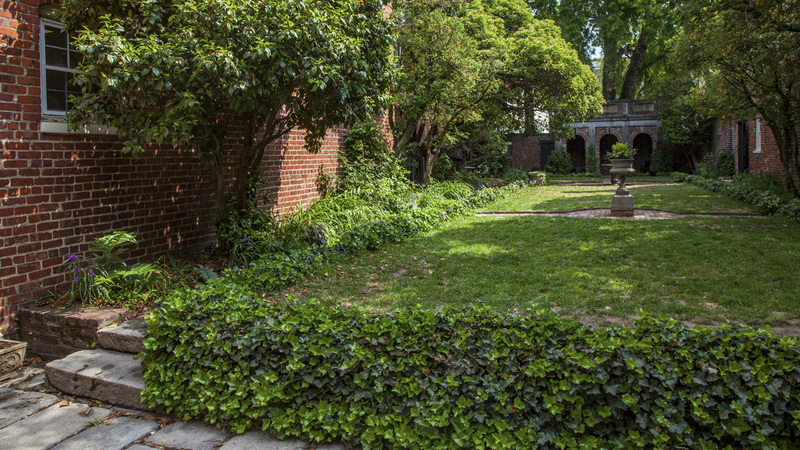 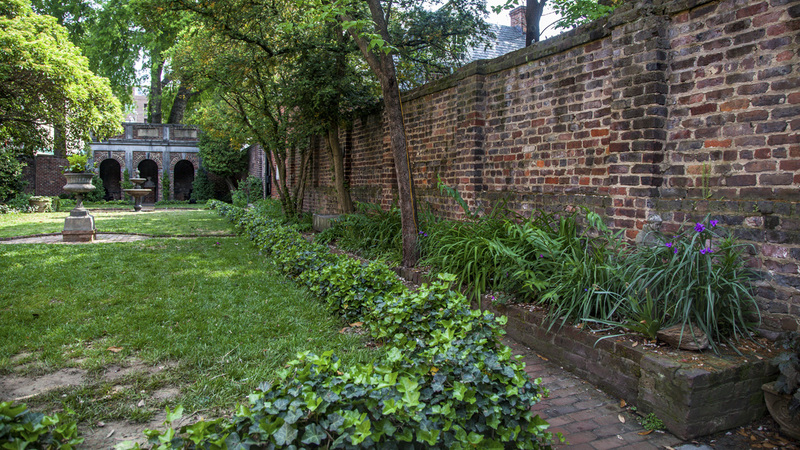 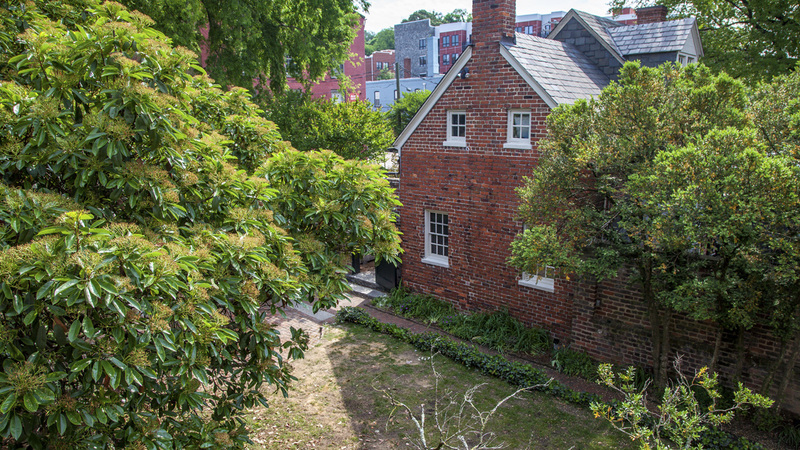 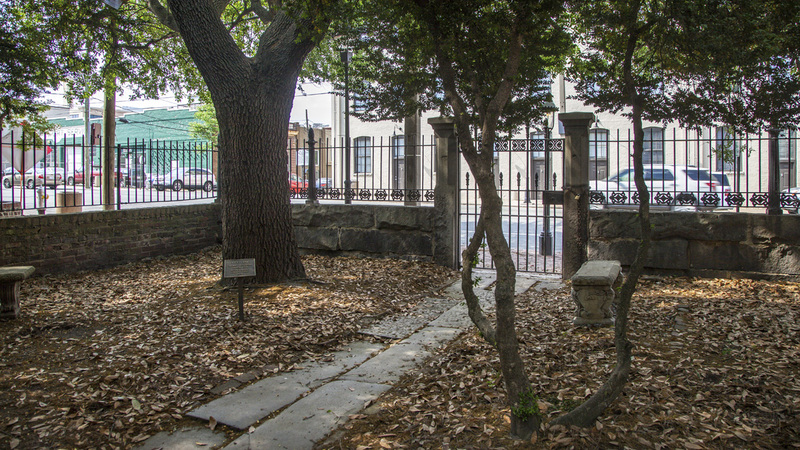 In constructing the garden, the architects incorporated artifacts from a number of buildings associated with Poe’s Richmond childhood: Bricks and granite lintels used in the loggia and walkways were repurposed from the Southern Literary Messenger building where Poe worked, stone benches were brought from the boarding house where he resided, and English Ivy was transplanted from his mother’s grave. 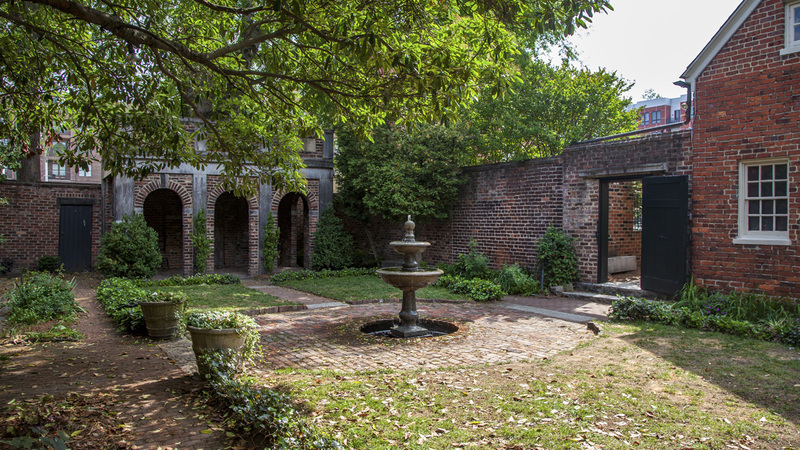 Two linear brick paths on axis with the Old Stone House’s egress, one punctuated by an urn and the other by a fountain, frame and traverse a rectangular lawn edged by a shrub-like border of ivy. 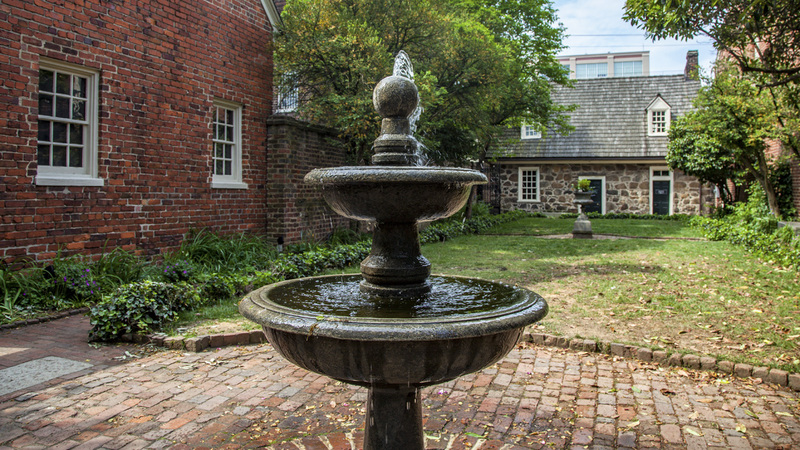 A circular brick patio with iron benches encircles the fountain at the rear of the garden. 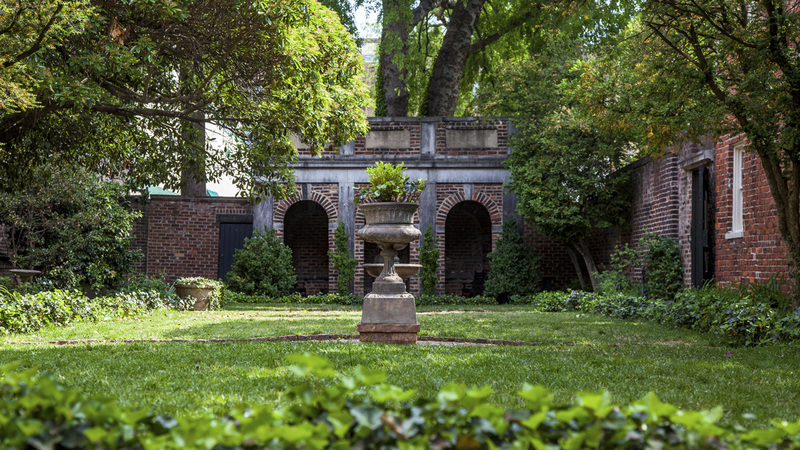 Dogwoods, magnolias, and massive boxwood inscribe the periphery of the garden, enclosed by two twentieth century buildings. 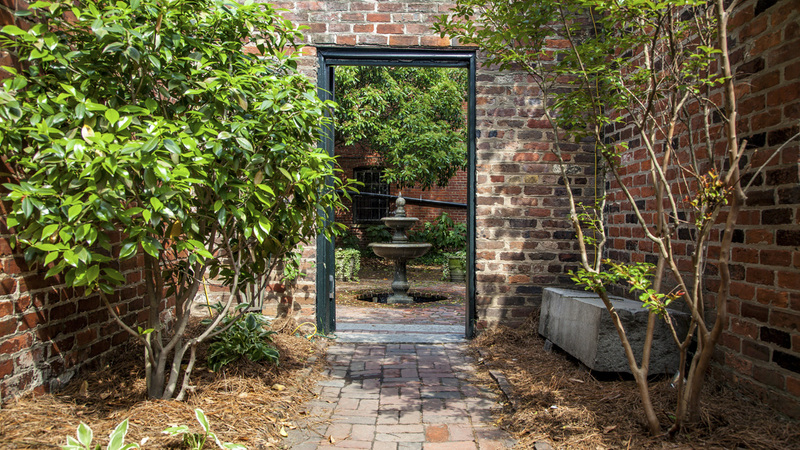 In 2008, landscape architect Drew Harrigan was commissioned to restore the property using drawings completed in 1964 by Charles Gillette. 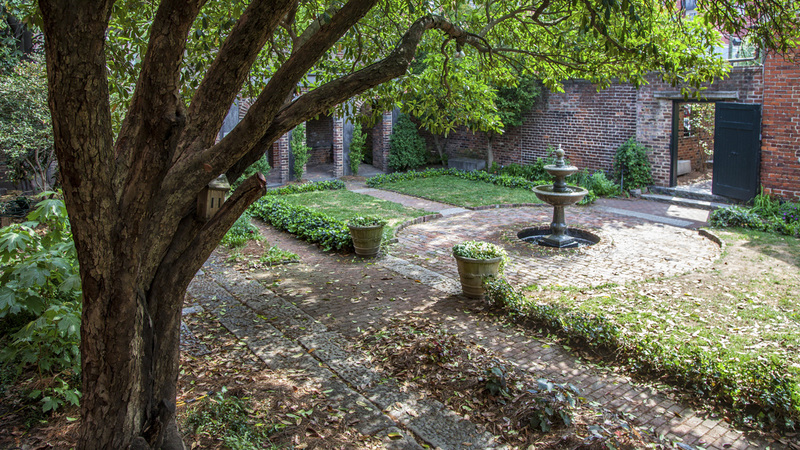 In 2014, the Garden Club of Virginia and Will Rieley and Associates continued this restoration work. 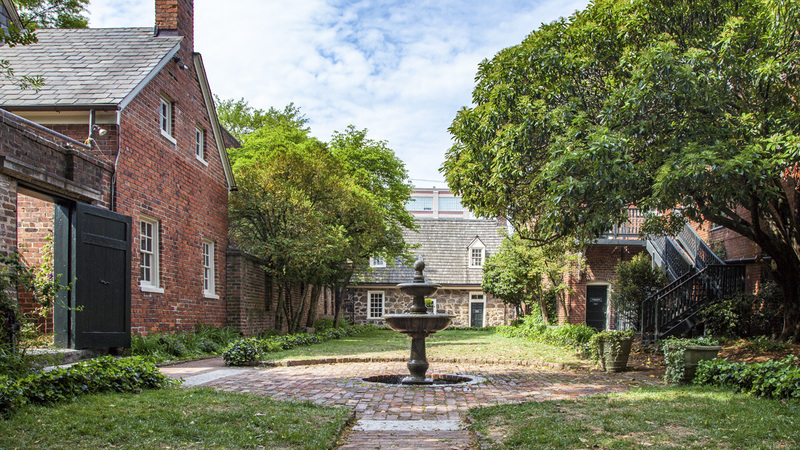 In 1973, the Old Stone House was listed on the National Register of Historic Places.